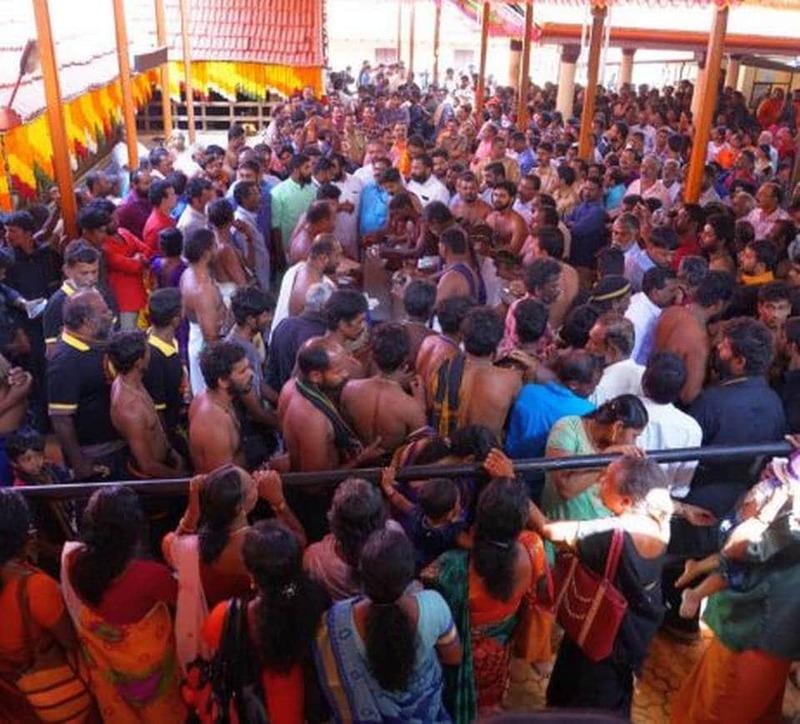 Hundreds of Ayyappa devotees including large number of women, thronged the palace town of Pandalam to witness the annual ceremonial procession carrying the sacred jewellery, Thiruvabharanam, to Sabarimala on Saturday. The Thiruvabharanam was taken out of the palace strong room early in the morning and the palace authorities hand it over to the Travancore Devaswom Board authorities at 4 am for taking it to Sabarimala for the annual Makaravilaaku festival. The jewellery were kept at the Valiyakoickal Sastha Temple close-by the Srambickal Palace for the devotees to have its darshan in the forenoon.